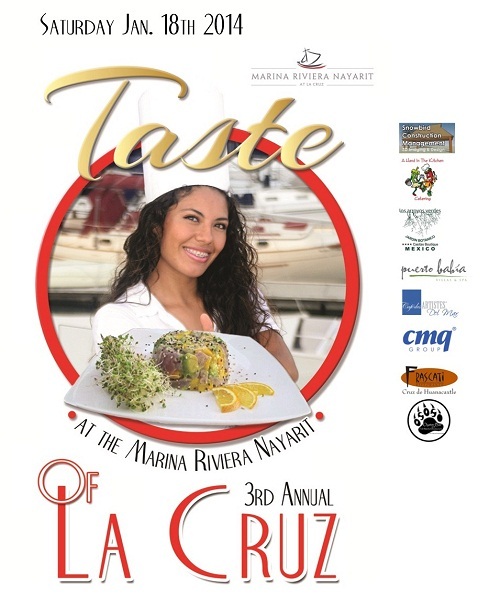 The Marina Riviera Nayarit has unveiled the official logo/poster for the the 3rd Annual TASTE OF LA CRUZ to be held on Saturday January 18th, 2014 from3:00 until 8:00 PM at the Malecón and Xiriki Amphitheater of the Marina in La Cruz de Huanacaxtle. This year’s poster model is the Queen of La Cruz (la Reina de las Fiestas Patronales de La Cruz) Edna Cornejo Ovalle. The yearly expo/fair features premiere area businesses, services and restaurants in a beautiful outdoor venue with the entire Banderas Bay and Puerto Vallarta as the backdrop. In addition, local artisans and craftsmen will offer unique regional art, clothing and food. A select group of musical acts from throughout the region will perform at the Marina’s Xiriki Amphitheater. The last two events have been phenomenal successes attracting thousands of visitors to La Cruz de Huanacaxtle and the Marina Riviera Nayarit from throughout the Bahia de Banderas / Riviera Nayarit as well as Tepic, San Blas, Guadalajara, Mexico DF, Leon, San Miguel, Guanajuato and Queretaro. Past exhibitors have been unanimous in their praise of the expo/fair in providing an exciting and vibrant platform for the promotion of their businesses. Visitors enjoy the festival atmosphere, delicious food and drink and the variety of intriguing businesses and entrepreneurs in such an impressive venue, all the while grooving to the music. For out-of-towners, this is a date to target for your visit to the area. Coordination with several area hotels is in the works with dedicated shuttles to and from the event. Details will be announced as received. 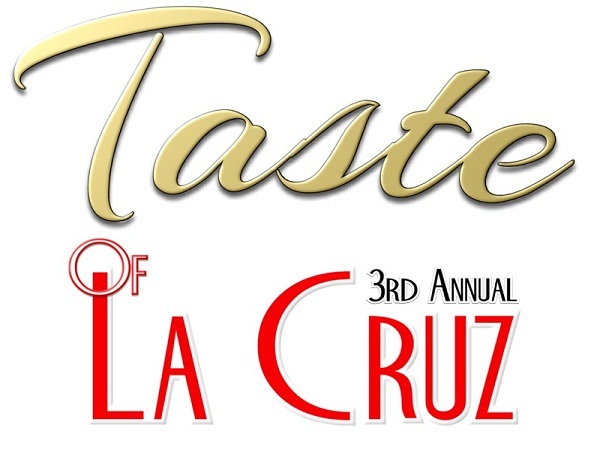 any questions, inquiries or pre-registration requests can be directed to: landon@tasteoflacruz.com or you may call 322 116-4731.